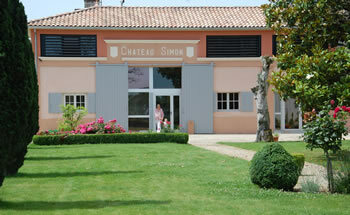 Château Simon lies within three French appellation areas: Barsac-Sauternes, Graves and Bordeaux. It is south-east of Bordeaux on the left bank of the Garonne river. Gravel soils and an oceanic climate create the perfect terroir for a variety of wines. Château Simon covers 38 hectares in five locations: Barsac, Preignac, Pujols sur Ciron, Budos and St Michel de Rieufret. 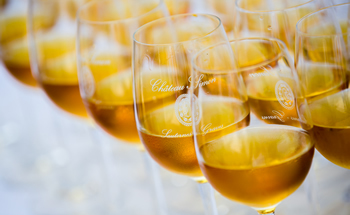 The Barsac-Sauternes area has been used to grow grapes for wine since Roman times. 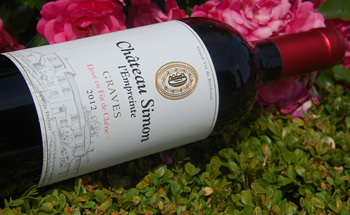 The Dufour family has been producing wine at Château Simon since 1814. The secrets of wine-making have been passed down through the generations. These have been combined with modern technology to create some superb wines. 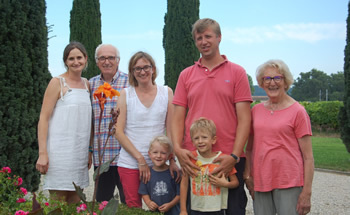 Three generations now run the vineyard, including highly qualified wine engineers and oenologists. 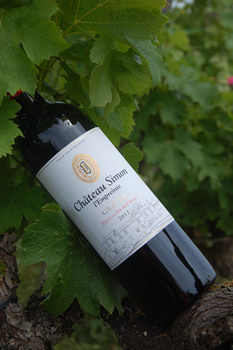 Château Simon produce botrytized wines. This is done by picking grapes during an infestation of the fungus ‘noble rot’ or Botrytis-Cinérea. If the timing is right, the fungus helps produce particularly fine and concentrated sweet wine. However the process can require three or four successive picking sessions. The wine is then aged in oak-stave barrels to give it a delicate golden colour. The final product is a wonderful concentration of flavours combining citrus fruit, sweet spice and crystallised fruits. They also hand pick the grapes from the Cabernet Sauvignon, Merlot, Sauvignon and Sémillon varieties. In 1983 the Dufour family became champions of sustainable agriculture. Vines are carefully observed and cared for in order to collect the best grapes. The Dufours regularly analyse the soils and keep up to date with technical advances to protect the vines.